At first, Wednesday’s game seemed like it was not going to end the way it did. 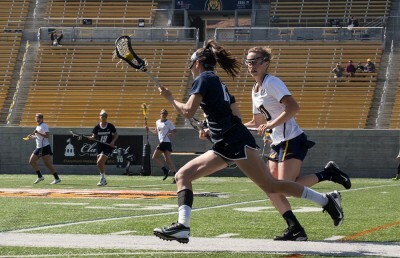 The first half of the Cal women’s lacrosse’s MPSF conference game Wednesday at UC Davis was particularly competitive — the Bears (3-9, 1-4 MPSF) traded goals with the Aggies (5-4, 3-1) but still went into halftime with the lead. 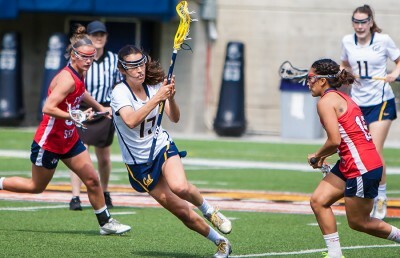 Cal emerged from the locker room and made a fifth goal within the first minute of play, increasing its lead to a slightly more comfortable margin of two and continuing to demonstrate that they were in the game to win it. Yet after almost six minutes in which neither team scored a point, UC Davis launched a comeback, winning 7-5 and sending the Bears back to Berkeley with another loss in their losing record. The Aggies did not back down after their first goal in the second half, scoring a total of four unanswered goals, two of which were on free position shots. Cal, on the other hand, struggled to perform. It repeatedly fouled Davis’s players, giving them ample free shot opportunities. Also contributing to this collapse was the Bears’ lax ball control. This is a trend that has emerged in recent games. The players cannot hold onto passes — if they catch them — nor have they been throwing accurately to their open teammates. This has provided their opponents with additional and unnecessary opportunities to score. As a result, they are losing to teams with which they should be more competitive. The consequences of this pattern can be seen clearly in Wednesday’s game. Davis had 25 shots to Cal’s 13, putting them in a significantly better position to end the game with a victory. On the other side of the field, Cal played better. Bears’ goalie Jenny Wilkens played well, with nine saves compared to the Aggies’ goalie Lauren Ali who only had one. It is likely that Cal could have used Ali’s performance to its advantage and gotten more points on the board. Because it was unable to execute on offense, however, this could not happen nor could Wilken’s strong performance make up for the final shot and score differentials between the teams. Davis was simply more aggressive. It picked up more ground balls and won more draws, providing it with additional ways to control the ball in a way that has eluded Cal in many of this season’s games. Although both teams received yellow cards, Cal was more greatly impacted by its. 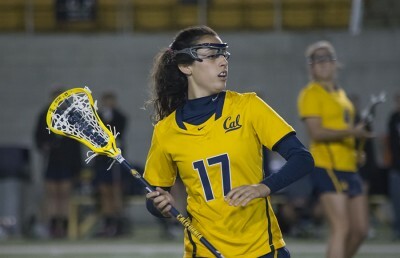 Bears’ midfielder Meredith Haggerty got hers in the second half, when Cal was struggling to respond to their opponent’s offensive surge. Davis Ellie Delich got hers much earlier in the game, yet remained the Aggies’ top scorer, making five of their seven goals. 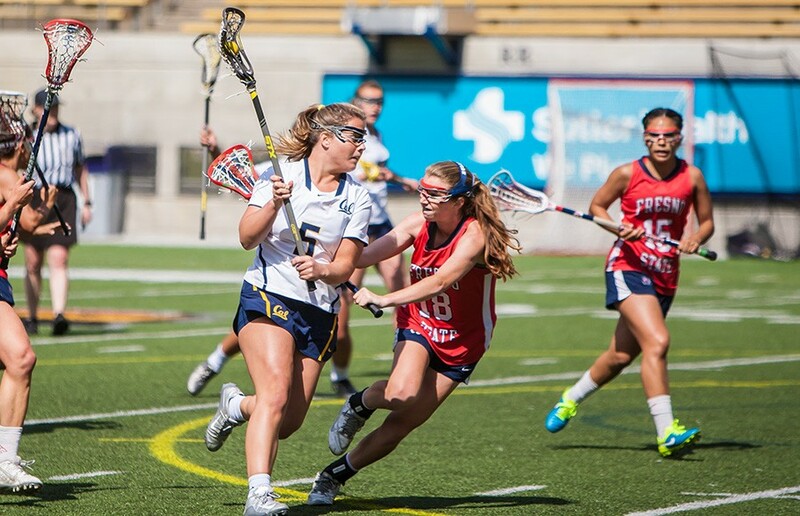 Cal attacker Elizabeth Pellechi and Haggerty each scored twice for the Bears. Both lead the team in points and goals. Pellechi has 22 from 19 goals and 3 assists. Haggerty trails her by one — she has 21 points from 18 goals and 3 assists. With each loss, the Bears get further and further away from a high MPSF ranking. They still have four more conference games to play, and as far as the MPSF Championship is concerned, are at a serious disadvantage.